What better time to capitalize on modern politics and to teach close reading and rhetoric with presidential candidates? 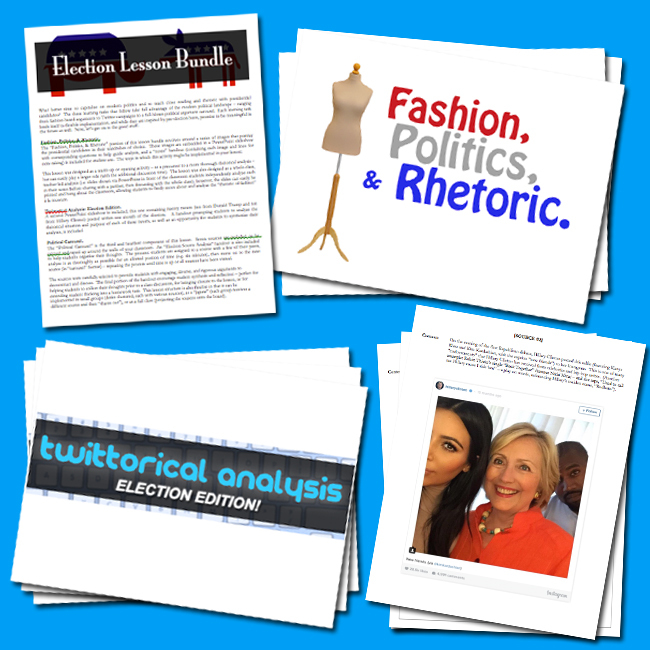 The three learning tasks that follow take full advantage of the modern political landscape – ranging from fashion-based arguments to Twitter-campaigns to a full-blown political argument carousel. Each learning task lends itself to flexible implementation, and while they are inspired by pre-election buzz, promise to be meaningful in the future as well. 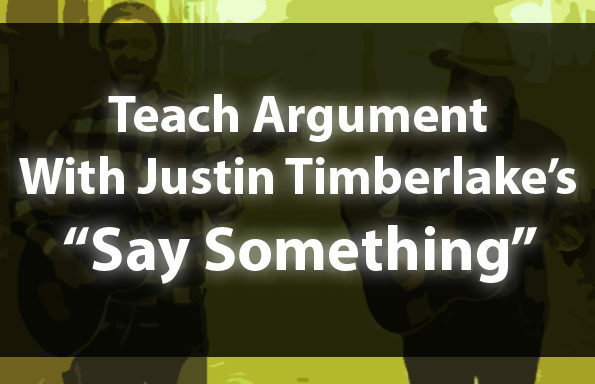 Join the TeachArgument Community to gain instant access to this, and every other pop culture lesson in our archive! …OR… purchase this dynamic lesson bundle a la carte for only $4.99! 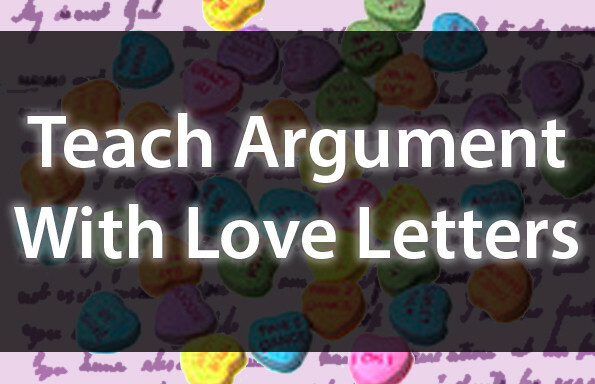 This lesson was designed as a warm-up or opening activity – as a precursor to a more thorough rhetorical analysis – but can easily play a larger role (with the additional discussion time). The lesson was also designed as a whole-class, teacher-led analysis (i.e. slides shown via PowerPoint in front of the classroom students independently analyze each in their notes before sharing with a partner, then discussing with the whole class), however, the slides can easily be printed and hung about the classroom, allowing students to freely move about and analyze the “rhetoric of fashion” à la museum. 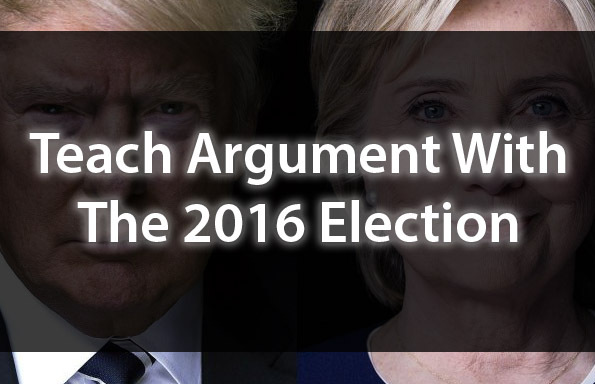 A second PowerPoint slideshow is included, this one containing twenty tweets (ten from Donald Trump and ten from Hillary Clinton) posted within one month of the election. A handout prompting students to analyze the rhetorical situation and purpose of each of these tweets, as well as an opportunity for students to synthesize their analyses, is included. The “Political Carousel” is the third and heartiest component of this lesson. Seven sources are included, to be printed and taped up around the walls of your classroom. An “Election Source Analysis” handout is also included to help students organize their thoughts. The process: students are assigned to a source with a few of their peers, analyze it as thoroughly as possible for an allotted portion of time (e.g. six minutes), then move on to the next source (in “carousel” format) – repeating the process until time is up or all sources have been visited. 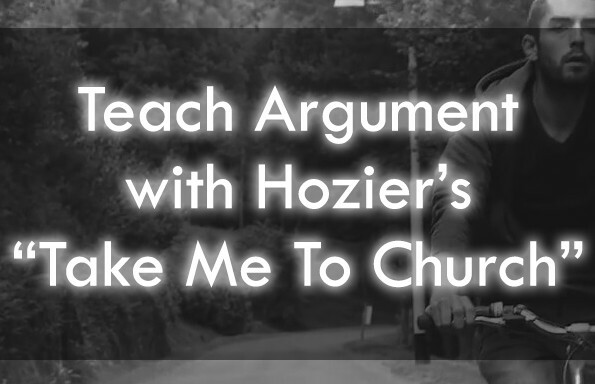 The sources were carefully selected to provide students with engaging, diverse, and rigorous arguments to deconstruct and discuss. The final portion of the handout encourage student synthesis and reflection – perfect for helping students to collect their thoughts prior to a class discussion, for bringing closure to the lesson, or for extending student thinking into a homework task. This lesson structure is also flexible in that it can be implemented in small groups (desks clustered, each with various sources), as a “jigsaw” (each group receives a different source and then “shares out”), or as a full class (projecting the sources onto the board).